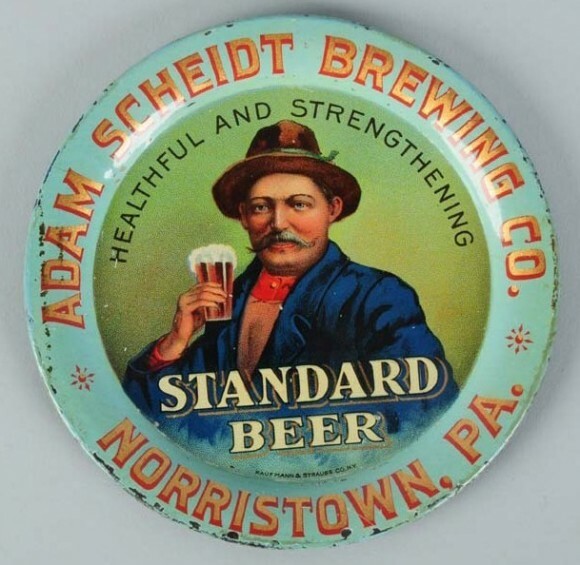 Serving Tray for Standard Beer from The Adam Scheidt Brewing Company out of Norristown, PA. In the center is a gentleman holding up a glass of the company’s brew. Text across the top is Healthful and Strengthening.